The Good: If you have read any of my book reviews in the past, you know how much I enjoy the personal stories. There is just something about personal stories that makes points stronger and more practical, in my opinion. And in this book, there are plenty of these invaluable stories. Other highlights of this book include the best explanation of the issue of teens and authority that I have every read or heard. That is just one example how this book was able to provide superior insight in the spiritual life and spiritual needs of teenagers. Then, in the final chapter, this book puts its money where its mouth is (whatever that means). 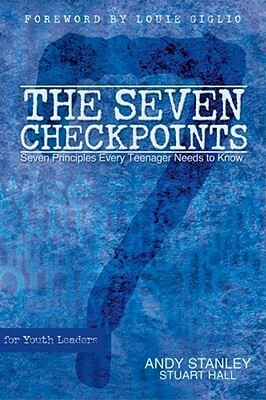 What I mean is, basically, the book takes you through the seven checkpoints that are vital principles that every teenager should know. In the final chapter (and in the appendix) you have are given a game plan in how to implement these principles. The Bad: There are just a few things in this book that could be cleared up with a quick edit or backspace button. Let me give you a few examples. Rarely are there references next to the Scripture quotes. Why? That would just take a few seconds to correct and would be very helpful. Stanley seems to have a propensity to use hyperbole in his writing. Example would be on page 121, “The most difficult thing you will do as a teenager is walk away from relationships with people you really care about.” Lastly, I would highly suggest reading the revised version. In the 2001 version, there is no reference to texting and social media. Also, when a celebrity is mentioned, they are outdated. It needs a little updating. The Grade: B+. This is one that every youth pastor or youth leader should read. I realize it is written to youth leaders, and I see value in using this in parent meetings, but I guess I expected it to more applicable to parenting than it is. Other than that, this has great value in youth ministries everywhere.